This is the first installment of pic of the month. I ran across this excellent pic over on the leverguns forum posted by friend of the forum Tycer . 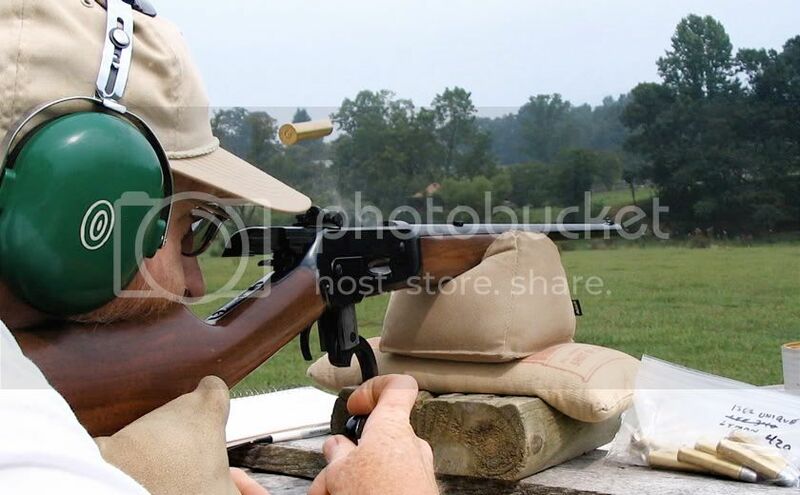 The pict shows another friend of the forum Yancy shooting Tycers new Winchester Extra Light 1886 chambered in 45-70. Notice the follow through and Yancy still focused on the target. Also notice the brass in the air and the smoke coming out of the top of receiver. Thanks Tycer!